To get the most day to day events & news please follow us on facebook or sign up for our newsletter!  Since 2001, Wild Bird Rescue & Rehab has operated out of basements and later, rented houses. Once we started taking in around 3,000 birds annually, we outgrew our rented roosting spots. Now, with your help, we are on the verge of building a new rehabilitation center in Wheat Ridge, Colorado. Watch this short video too see a day in the life of our Wild Bird team. Now on YouTube.